Miracle Treat Day is Finally Here! – Dairy Queen Corp. Miracle Treat Day is Finally Here! Miracle Treat Day is finally here! Invite a friend to join you at Dairy Queen TODAY when $1 or more from each Blizzard Treat sold benefits your local children’s hospital, such as WVU Medicine Children’s. Every Blizzard® Treat purchase means $1 or more will help kids just like Larkin! 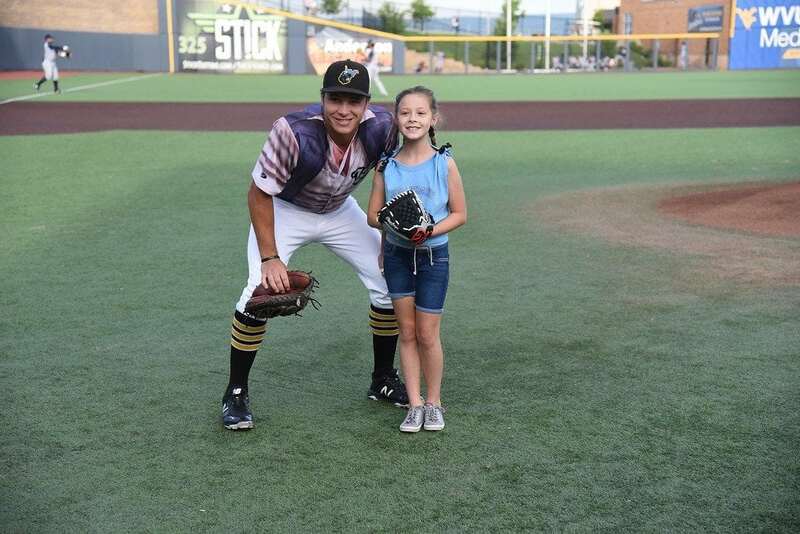 Larkin threw out the ceremonial first pitch at the West Virginia Black Bears game on Saturday, in their win against the Brooklyn Cyclones. Larkin is the 2018 Children’s Miracle Network Hospitals Ambassador representing WVU Medicine Children’s. Help kids like Larkin get back to being kids by purchasing a Blizzard TODAY! Snap a pic and tag us on social media while you’re there! Previous post: Today is Miracle Treat Day at Dairy Queen!